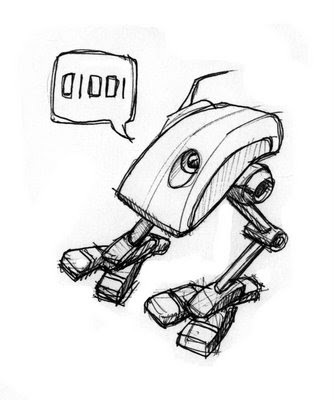 I have been slacking on my posts so here is another robot quickie to make up for lost time. Any significance to the number "9", or the tab character? Is it sad that I knew that 1001 was 9, at a glance? Or that 9 is the ascii code for a tab character? Yes, that is sad (just kidding) and, no, there is no significance to the binary. I put that in there to see if you would notice, and you did!